Our Cub Pack had a double celebration this week. The theme for the week was US Independence Day – looking at 242 years of American History. 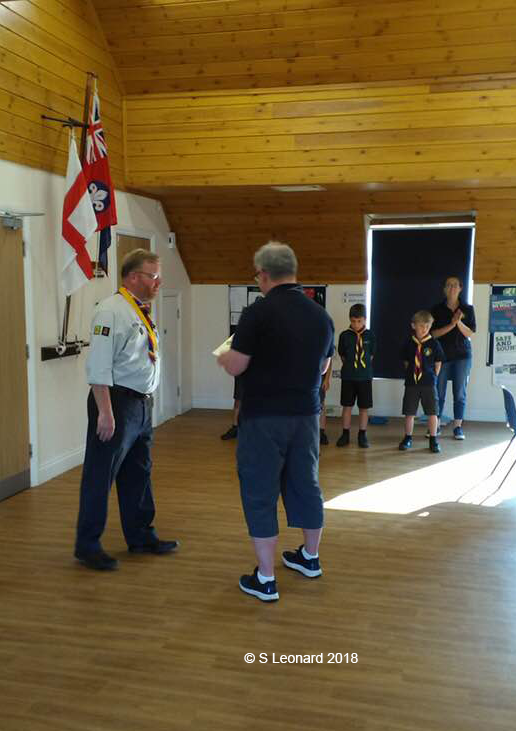 Not quite so long, but sometimes feeling like it, Cub leader Darren had his 25 years of Scouting service recognised with the presentation of the Chief Scout’s 25 Years Service Award by New Forest North District Commissioner Kerie in front of the Cubs. Well done, Darren, here’s to the next 25 years. 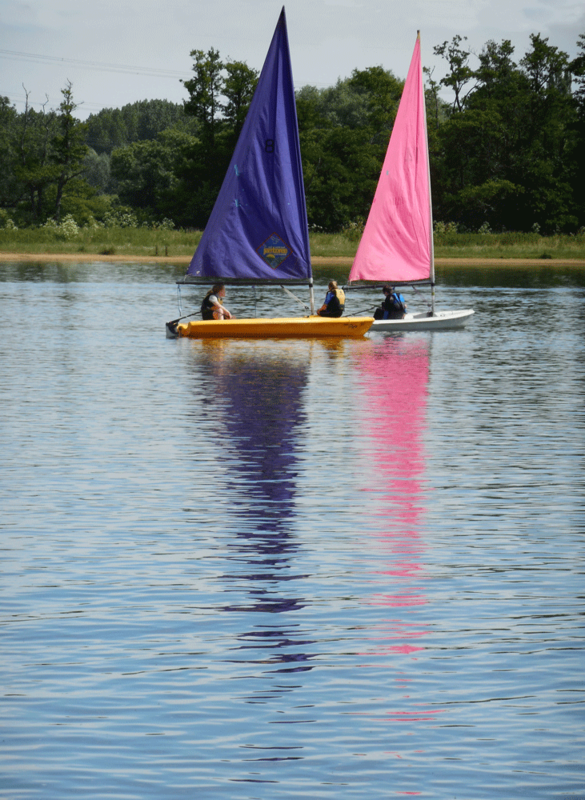 Anyone walking around Testwood Lakes after dusk on Friday 22 June would have been surprised to see kayaks and dinghies still out on the lake. The 24 hour sponsored “Boat” starting at 6 pm on Friday, aimed to raise money for the Group as well as giving young people from all the sections the opportunity to get out on the water and learn new skills. 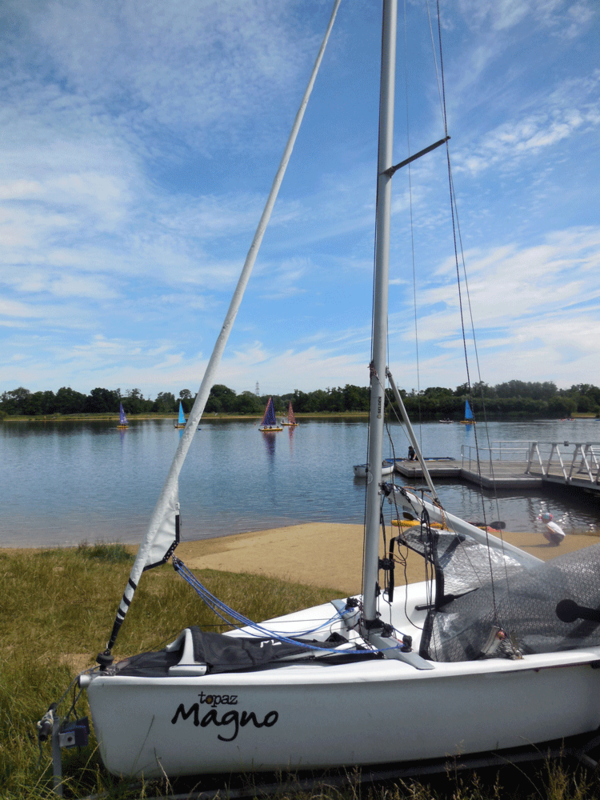 Leaders and young people splashed, paddled, rowed and tacked their way around the lake in relays. A few managed to grab some sleep whilst others were out on the lake. On Saturday Cubs and Beavers also took to the water in the perfect conditions, with brilliant sunshine and light winds, watched by parents and friends of the Group who enjoyed a BBQ in front of Aquativity. Many thanks to the Leaders and Instructors who made this possible. The Group’s AGM was also held outside during the event against a backdrop of coloured sails and kayaks. 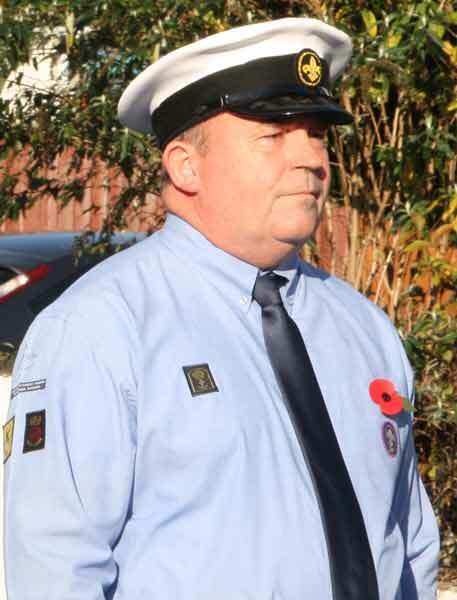 Today at the Group’s AGM, Robin Clarkson, thanked all the Leaders, Executive members and supporters of the Group for their sustained hard work over the last 5 years as he stood down as Group Scout Leader (GSL). 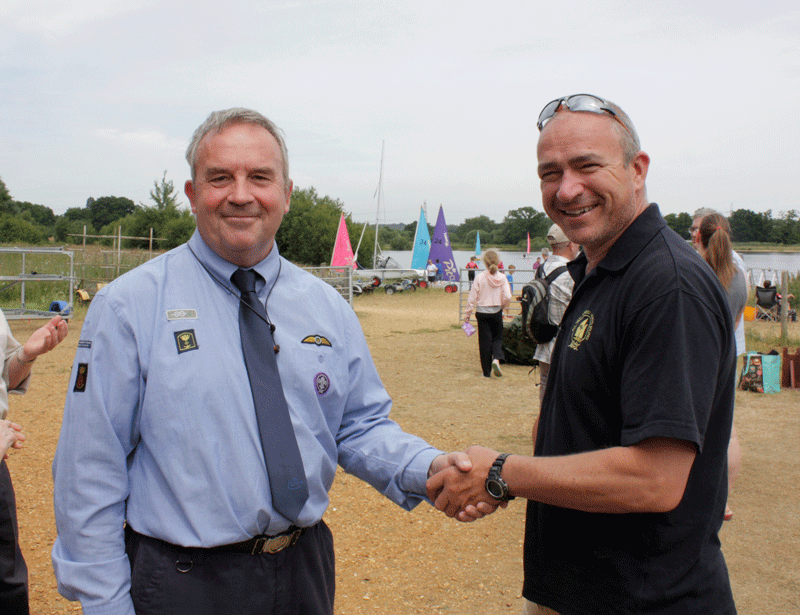 Robin commended the new GSL, Marcus Sly to the Group. Marcus, who has been a Scout leader with the Group for 4 years will bring a different style of Leadership and take the Group forward to even more success. TODAY Our Annual General Meeting will be held at Aquativity, Testwood Lakes on Saturday 23 June 2018 at 12.30. All parents, leaders and helpers of the Group are very welcome. Please come along and show your support for the Group. BBQ food and refreshments available to purchase. Watch the 24 boating on the lake.